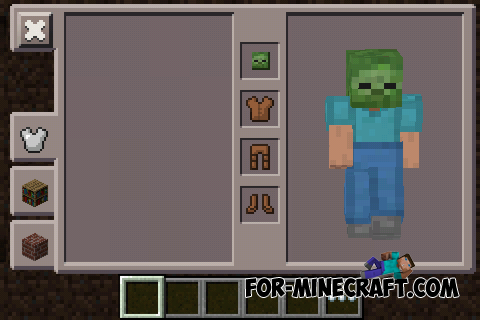 This modification is adds a dyeing leather armor, which has a different color and with a mod, you can wear a head of mobs. Dyeing armor can get using the TMI or PiE, and you can get the head of mobs by killing mobs - skeletons, creepers, etc. Tap on the pumpkin block and you'll get dressed the pumpkin on head.